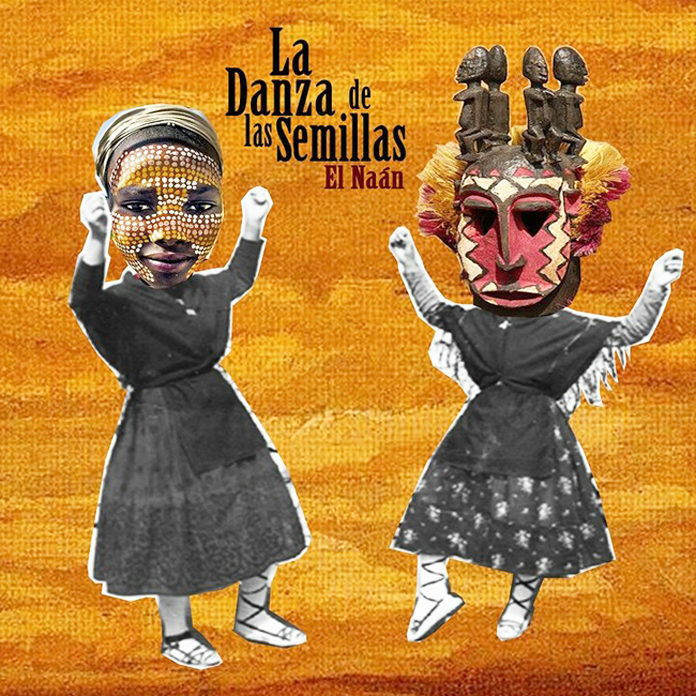 The title of this remarkable album La Danza de las Semillas by El Naán is both a metaphor and an extended allegory. The metaphor is one of the “Dance of the Seeds”, which is really the magical germination that takes place when the seed – the embryonic plant – sprouts when it is jolted to life from the sod by water and the sun; this is the same embryonic germination that took place when the very soil of Spain was germinated by the influence of the Africans and Arabs whose culture was spread across the Iberian Peninsula, giving rise to one of the most fecund and luxuriant periods in time when the region of Southern of the Peninsula and North Africa were inextricably linked and became literally the Ornament of the World. The extended allegory follows from this and it is the story of all that happened told in song by this extraordinary group of musicians who go by the name El Naán. This album shows these musicians, El Naán, heading into the real and the imaginary countryside of North Africa and Spain rousing the collective musical tradition back to life in the present, making friends with all of humanity in the harsh, beautiful musical topography of Iberia. There is also a powerful sense of longing for some things lost to Time – especially in songs such as “¿Dónde Pongo las Flores?” and the dark, elegiac ballad “Bolero de Algodre” – where you can literally hear the sound of freedom in the voice of the vocalists and the percussion. On the former song the elegance of the accordion playing becomes a part of the natural landscape that mixes beauty and danger with the imagined sounds of the birds and animals. There is such brilliance in the musical travelling back and forth in Time that one heard the ghosts of traditional musicians as the music evocative of ancient freezing nights and long rainy days meld into the soprano saxophone of César Tejero while the castanets chatter redolent of ancient iron and steel forged in the hiss and roar of fire, while the cymbals echo and the swishing and sashaying of whirling dancers around bonfires as “Agapito Groove” hammers itself out to an abrupt end. Just like that we awake in reality but not before we are taken to craggy hillsides and haciendas lit by the reflection of roaring fires as we traverse the countryside with trusted and inspiring musical friends.